The card base is a piece of Butter Cream Cardstock, with a layer of Bubble Gum Cardstock and two pieces of Through the Year prints. I then layered a Butter Cream Cardstock cut with Journey Scallops, which I stamped the sentiment from Annual Celebration with River Stone ink. 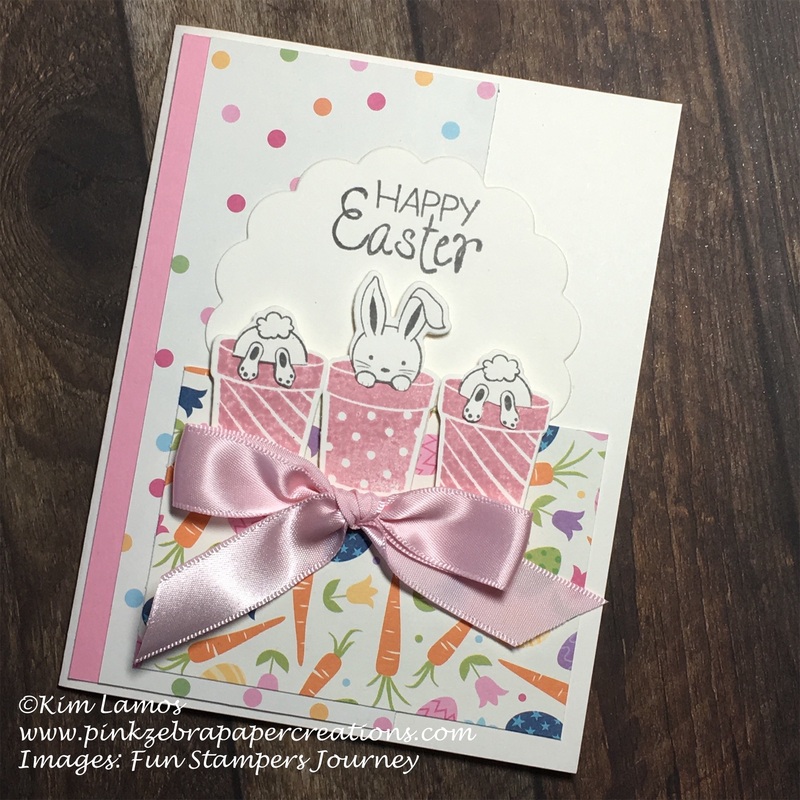 I then stamped the bunnies from the All Year Long stamp set with Rustic Rose and River Stone, fussy cut the pieces and pieced them together. I added these to the card using foam squares. I finished the card by adding a Bubble Gum Satin Ribbon. Great card, the bunnies are so cute. Thanks for sharing your creation with us at Crafty Friends, we hope to see you back again.